PAPA WEMBA : TRAIT D'UNION : NOUVEAU SINGLE - SORTIE LE 12 JUILLET 2011 - BIENVENUE. Ca c´est un blog musique Congolais. 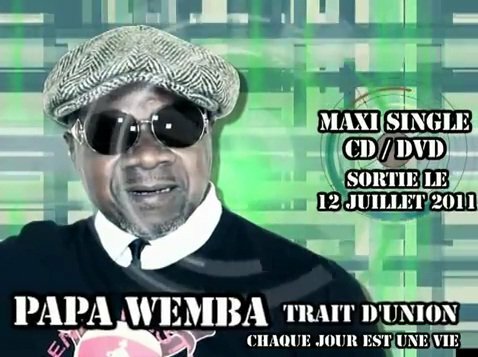 TRAIT D'UNION : NOUVEAU SINGLE DE PAPA WEMBA AVANT NOTRE PERE WORLD - SORTIE PREVUE LE 12 JUILLET 2011.